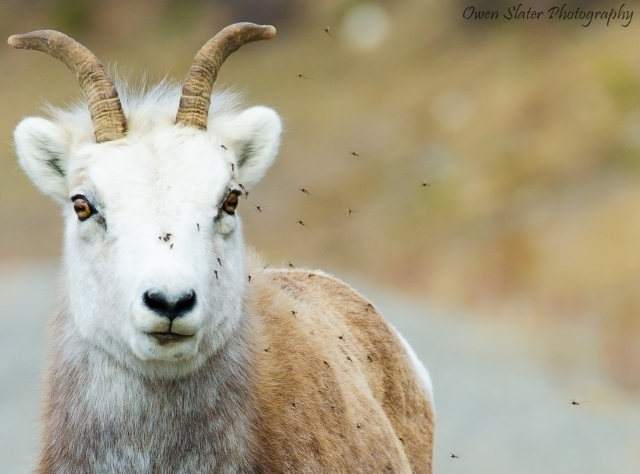 A horde of mosquitoes descends on a stoic stone sheep in Northern British Columbia. With every spring comes the masses of biting insects in the north. As someone who is a mosquito magnet, I couldn’t imagine having to put up with this after surviving a long, harsh winter. Just taking this photo made me feel itchy!